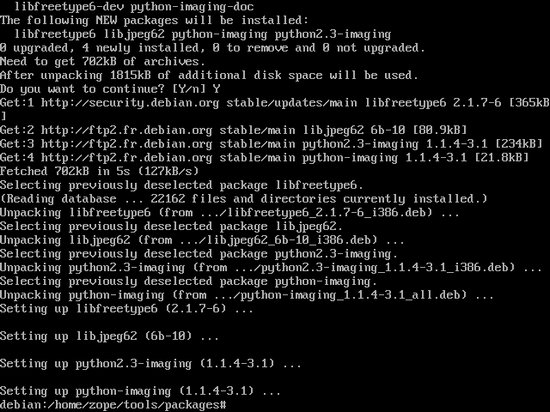 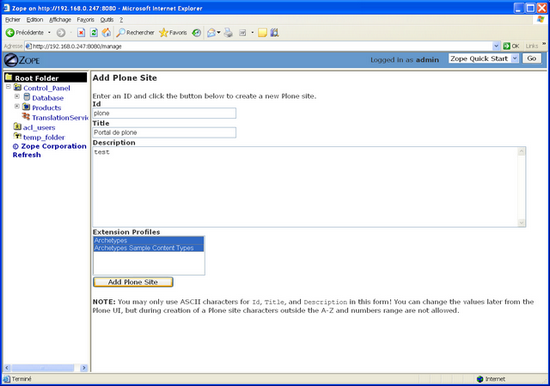 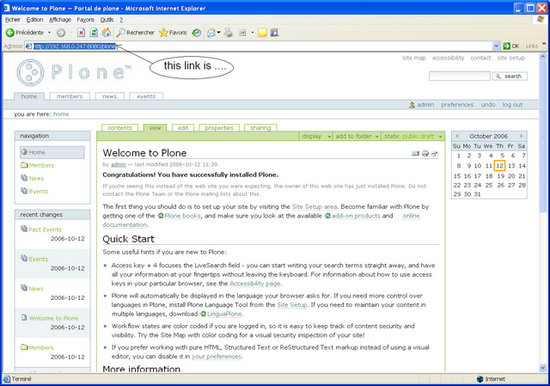 This tutorial shows how to install and use Plone with Python and Plone on Debian. 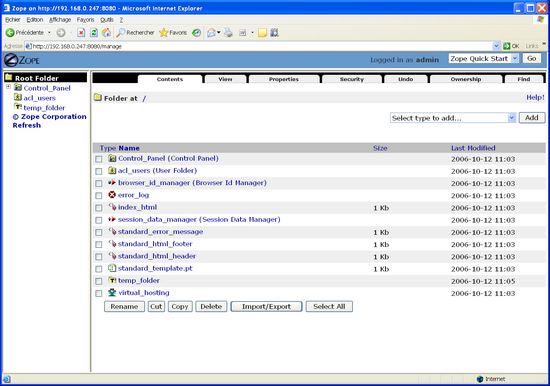 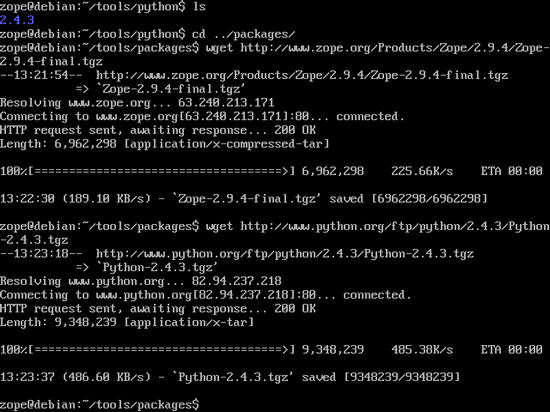 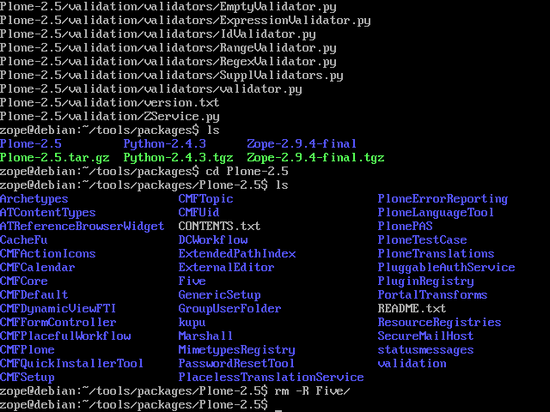 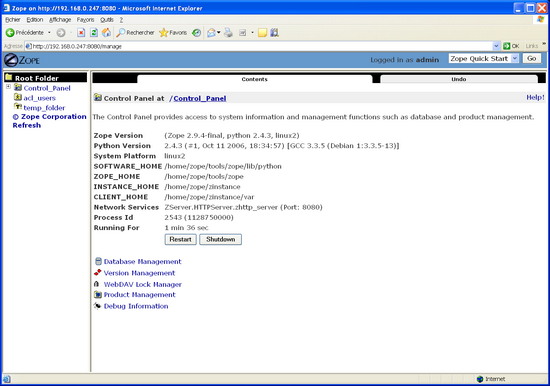 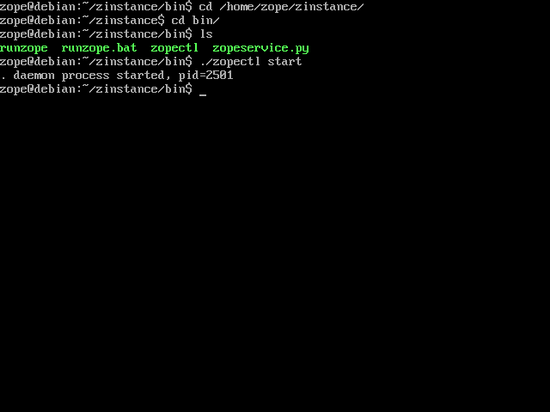 Download some software: Zope-2.9.4, python 2.4.3, Plone 2.5. 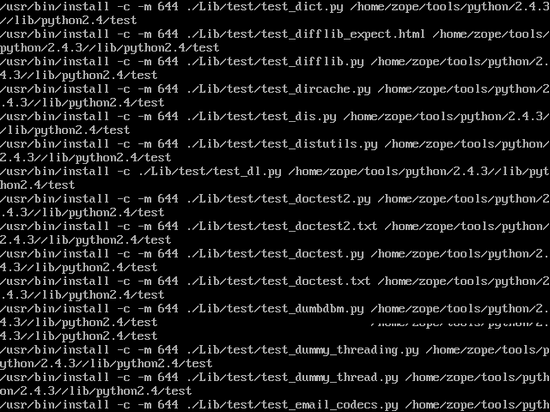 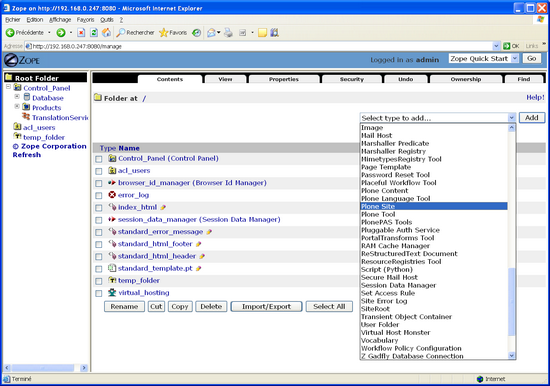 You must use your login "root" for install the next products ! 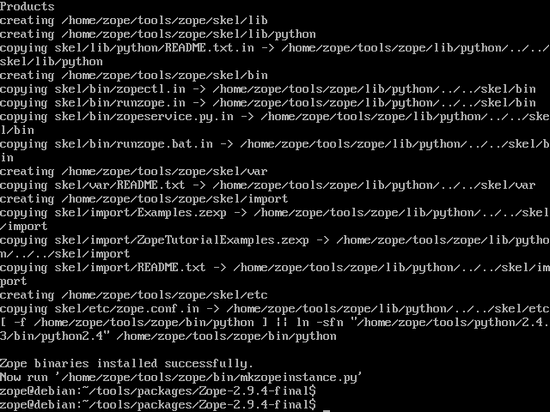 Be careful, a library necessary for the installation of zope is missing. 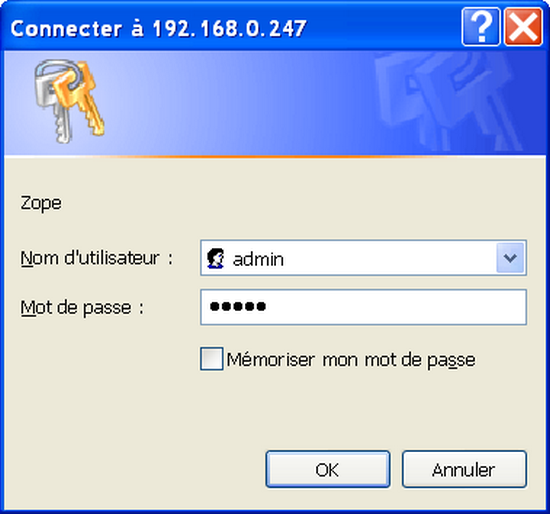 You must choose a username and password. 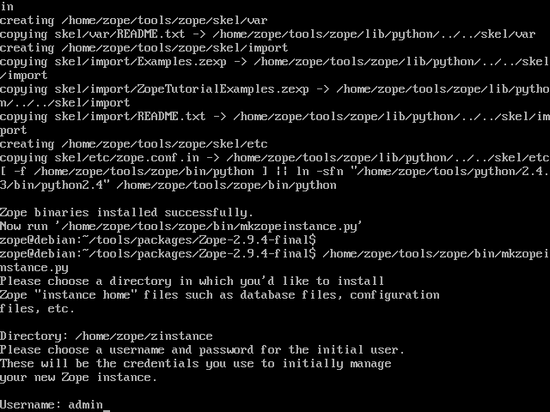 Congratulations for your Zope install.